Ubisoft has issued an apology for an in-game image in The Division 2 which included a homophobic slur. 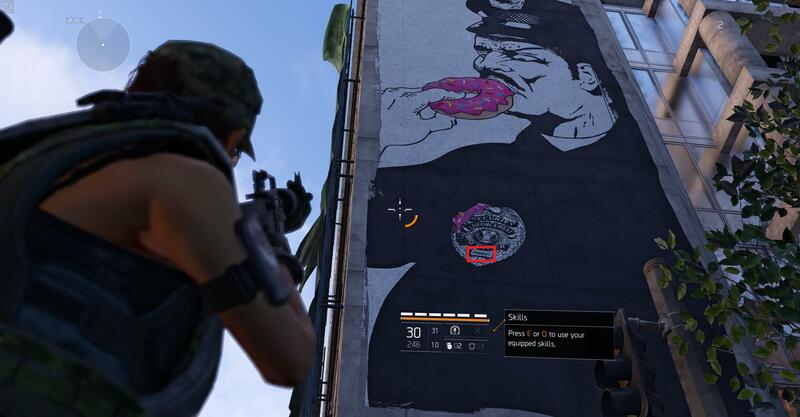 The slur was removed from the game, but not before observant players spotted it in piece of street art of a police officer eating a donut. The actual slur is on his police badge which lists his ID number as "FA6607." The slur in The Division 2. | Ubisoft via Imgur. Converted into 'leetspeak,' and the numbers and letters spell out a homophobic slur with no real reasoning to it. The mural itself is seemingly anti-police, which seems appropriate for the world of The Division 2. But the addition of the homophobic slur confounds its meaning. As PC Gamer notes, is the police officer homophobic or is this a homophobic attack on the police? Was it simply added to be "edgy" or willfully offensive? In a statement Ubisoft writes, "It's been brought to our attention that a piece of street art in Tom Clancy's The Division 2 contained offensive content. We removed the image from the game via a patch on Thursday, April 11." Ubisoft added, "We apologize that this image slipped through our content review processes, and we are currently reviewing them in order to avoid this kind of oversight from occurring in the future." Ubisoft seems to chalk the incident up to a failure in its review process, but that doesn't explain the origins of the image. Was it developed internally? Similar incidents have occurred in the past with other, non-Ubisoft games. For instance, an armor design in Destiny 2 secretly snuck in an internet hate symbol in 2017, while a reference to President Xi Jinping in the Taiwanese horror game Devotion caused the developers to temporarily pull the game. Tagged with Action,	News,	PC,	PlayStation 4,	Shooters,	Ubisoft,	Xbox One.